Empower her and she will empower her family. Women can change a family’s history. Getting them out of unemployment and dependency, helping them to start their own small activity (tailoring, producing and selling soap and insecticides, cooking and selling food and pastries) means giving a chance to their entire family. 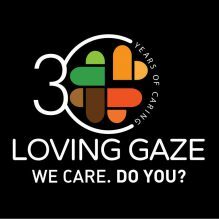 Loving Gaze created a group of 30 women who benefited from a small micro credit to start their own business. They are now a community of 60 where each member pulls together their savings to sponsor new members’ initiatives, with small loans. A successful initiative: 90% of the loans have been paid back on time. 80% of the micro-loans have been refunded. Women who benefited by the program are now mentoring and helping other women. We organised about 12 different vocational skill acquisition trainings including training on the making of Liquid soap, Vaseline, Insecticides, Stove threads or wicks, Key/tablet soap, Pastries and Snacks making likes Chin-chin, Doughnut, Puff-puff, Buns, Egg-roll, fish roll and Tailoring etc. 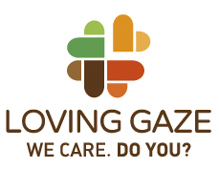 Each month, a volunteer, among the group of women, or among Loving Gaze network, teaches to the rest of the group a new technique (e.g. tailoring an apron or making liquid soap). We provide the first batch of raw materials and the end products gets distributed among the children and the participants.